Startup Estonia’s cleantech expert Marit Sall has been working with cleantech startups in Silicon Valley and judged startups at the Climate-KIC Venture competition in the UK and at the Nordic Cleantech Open in Sweden. We asked her to explain what it takes to write a good application to Europe’s largest cleantech business idea programme ClimateLaunchpad. The weekend is a good time to start writing your application. We have made the application process super easy for you, it really takes only 20 minutes to fill in the form. However, to maximise your chances of getting in, here are some points to think about when preparing your application. When describing your idea, start with explaining the problem you are trying to solve. What is it? Where is it happening? How big is it? Sometimes the problem is hard to find. Let’s say that you are developing a totally plant based meat substitute. What is the problem? As a meat eater, I don’t have a problem. The problem here can be that the meat industry is a huge polluter. It has been estimated that livestock production is responsible for 18% of greenhouse gases. Therefore reducing meat consumption reduces environmental problems. 2. Don’t worry about the climate impact too much. Your technology captures waste carbon dioxide from air for concrete production, enabling to eliminate greenhouse gas emissions from concrete production. As concrete production is responsible for creating up to 5% of worldwide man-made emissions of CO2, your technology has a massive impact on reducing global warming. You develop and provide open-source information on earth's changing climate through earth observation satellites. Therefore you help decision makers and other companies to fight climate change with more accurate data. a) This revolutionary technology makes it easy to detect pest colonies, reducing 80% of pesticide usage, which in Europe alone means 500l of pesticides per year alone. That means healthier food and less energy on pesticide production. b) This mobile platform makes it easy to rent out your unused car. Our platform takes advantage of the sharing economy concept and enables to use the cars that are not in use, instead of enlarging rental companies and producing more cars to meet the demand. c) This web-based platform monitors water distribution networks and alerts about water leakage and other problems in real-time. With our solution, we are able to reduce 10% of water loss per system. In 1 year, that equals saving the amount of water as in lake Ülemiste. 3. Show your global ambition! 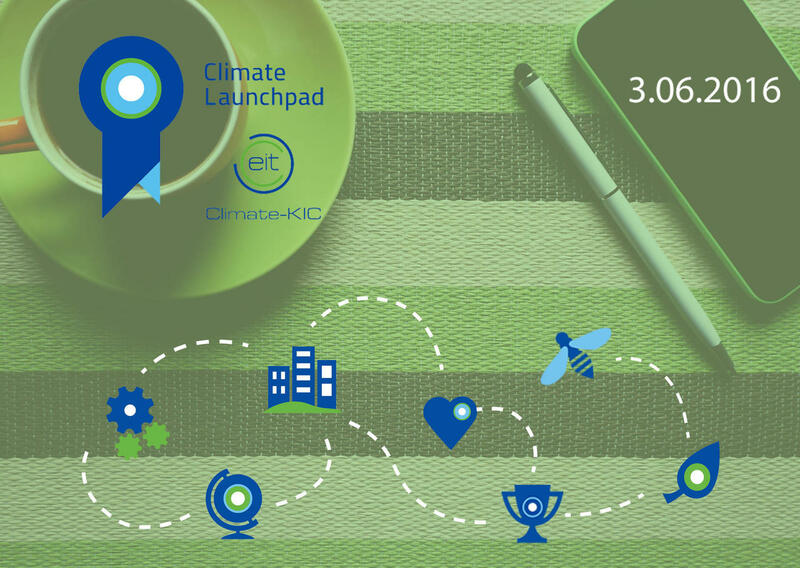 ClimateLaunchpad is technically a pre-accelerator for green startups or startup ideas. What makes you a startup is having a global ambition and a scalable solution. Importing something cheap and selling it in Estonia does not do the trick. Show us, that you have thought about other markets beside Estonia. For example: “In 2 years, we would like to expand our service to US market. Or, “our initial idea is to sell the solution to retail shops, but this can be used by the military as well in the future”. The simple advice is - find a way to stand out. Go to the events, that introduce ClimateLaunchpad, ask advice from Startup Estonia team about your specific questions, add photos and additional materials to your application. What else… write about your previous success stories with this green idea and show, that you have thought about the idea more than just 1 day. 5. Who’s in your team? ClimateLaunchpad is designed for teams with an idea. Does it work technically? Will the customers want it? Is it good enough of a solution? The honest answer is - we don’t know. But what we do know, is that we can help you out when you have a team, that has what it takes to make it! Please, let us know about it! Whether you describe your team under question #6 or in additional materials, please take your time to think things through. If you don’t have a team yet - let us know about yourself. I have 3 years of experience in the housing industry, knowing it’s energy efficiency problems inside out. My teammate is a real estate developer, who has good market connections. I am finishing my PhD next year at University of Tartu and my research is focused on recovering waste heat from combustion engines. Good luck and see you at the ClimateLaunchpad Boot Camp in Soomaa!